Will Key To the City and Designer VIP pack owners be getting the new symbols for free? Everyone with Key to the City will get the 420 symbols and decals. 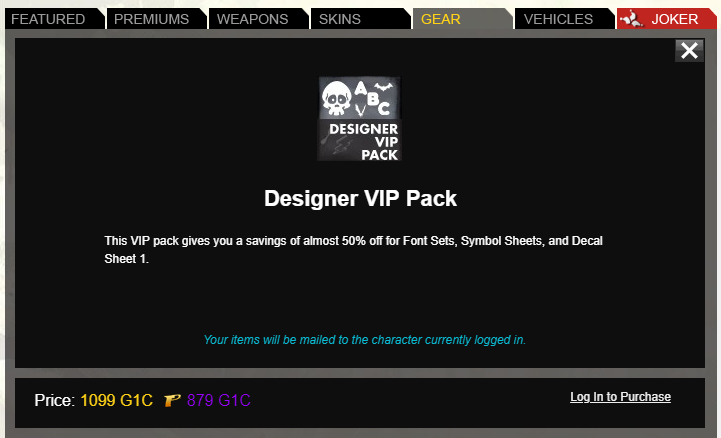 I had to look up the Designer VIP pack, because it was removed from ARMAS before we took over. Based on the wording, it looks like the pack was a 50% discount on the existing symbols and decals at the time, and didn't include future symbols or decals. However, we might update the VIP pack itself to include all the symbols and decals so far, and then re-release it.